Bjørn Wiinblad's fantastic figures "The Four Seasons" are known worldwide and have been very popular as a motif among collectors for decades. The female figures each represent one of the four seasons and were originally painted with detailed patterns in blue and green. 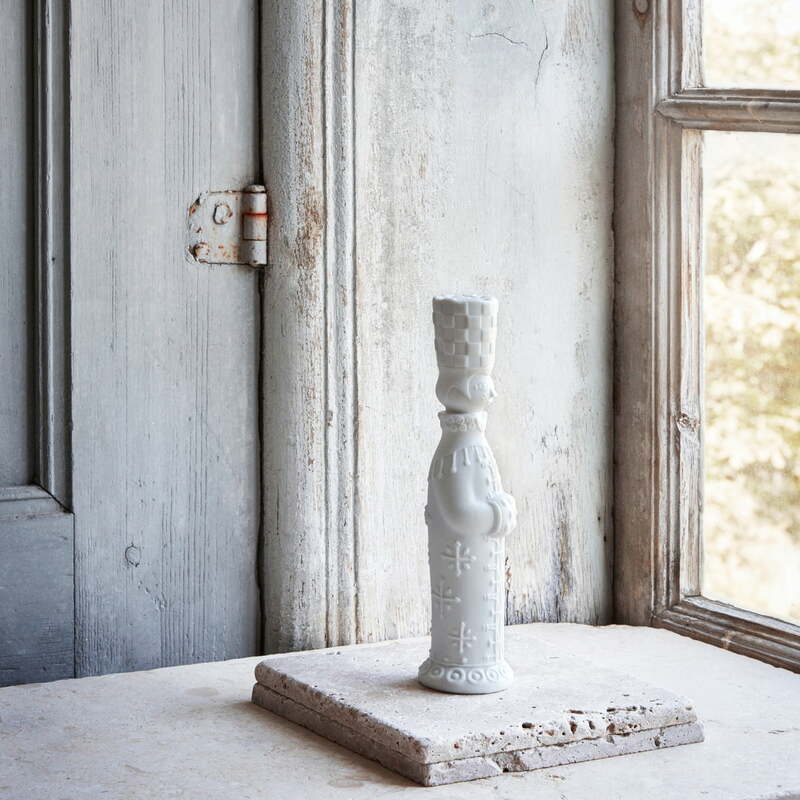 The newly launched series of figures retains the lovingly designed form of the original figures and gets a modern touch with the matt porcelain in white. The porcelain figure Spring with a height of 18.5 cm has let the bird out of the cage so that it can fly freely, but it is not yet ready for the big wide world. He sits safely on her hat singing a little spring song. The porcelain figure Summer with a height of 17.5 cm was in the rose garden and filled her basket with the most beautiful flowers. 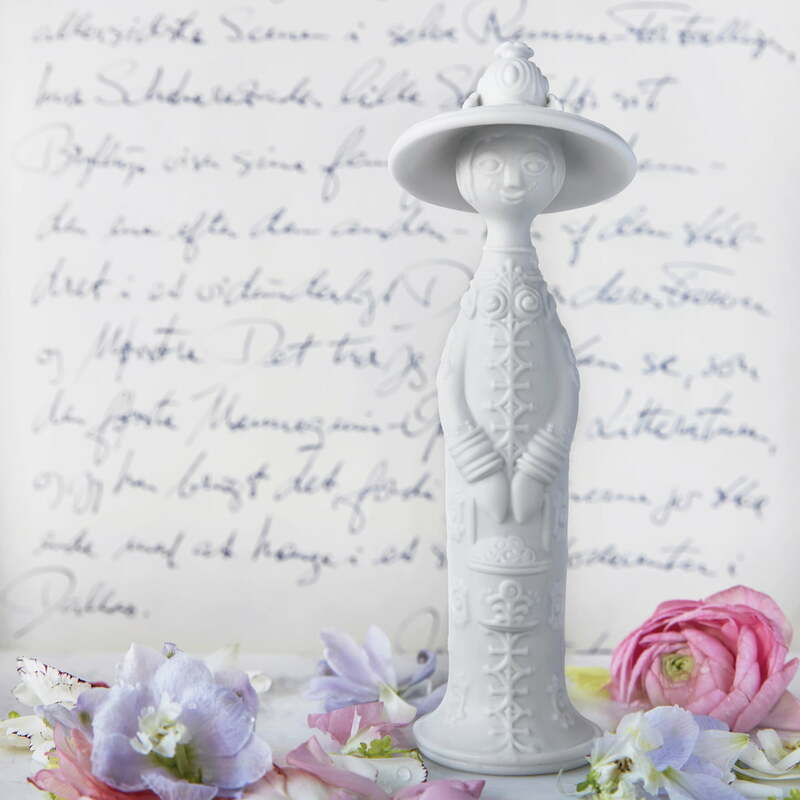 The porcelain figure Autumn with a height of 17.5 cm has a warm scarf over her shoulders and a beautiful hat that protects her from the cool wind when filling her basket with apples. The porcelain figure Winter with a height of 18.5 cm and her gentle smile is wrapped in a warm coat, muff and fur cap. 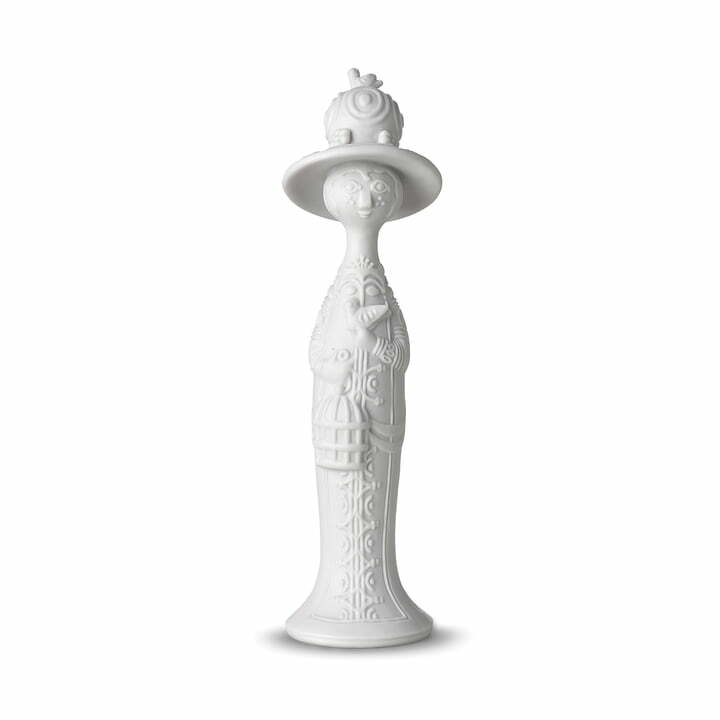 Bjørn Wiinblad's "The Four Seasons" porcelain figurines are not dishwasher safe. Bjørn Wiinblad's fantastic figures "The Four Seasons" are known worldwide and have been very popular as a motif among collectors for decades. The female figures each represent one of the four seasons and are made of matt porcelain. The female figures each represent one of the four seasons and were originally painted with detailed patterns in blue and green. The newly launched series of figures retains the lovingly designed form of the original figures and gets a modern touch with the matt porcelain in white. The porcelain figure Spring with a height of 18.5 cm has let the bird out of the cage so that it can fly freely, but it is not yet ready for the big wide world. He sits safely on her hat singing a little spring song. 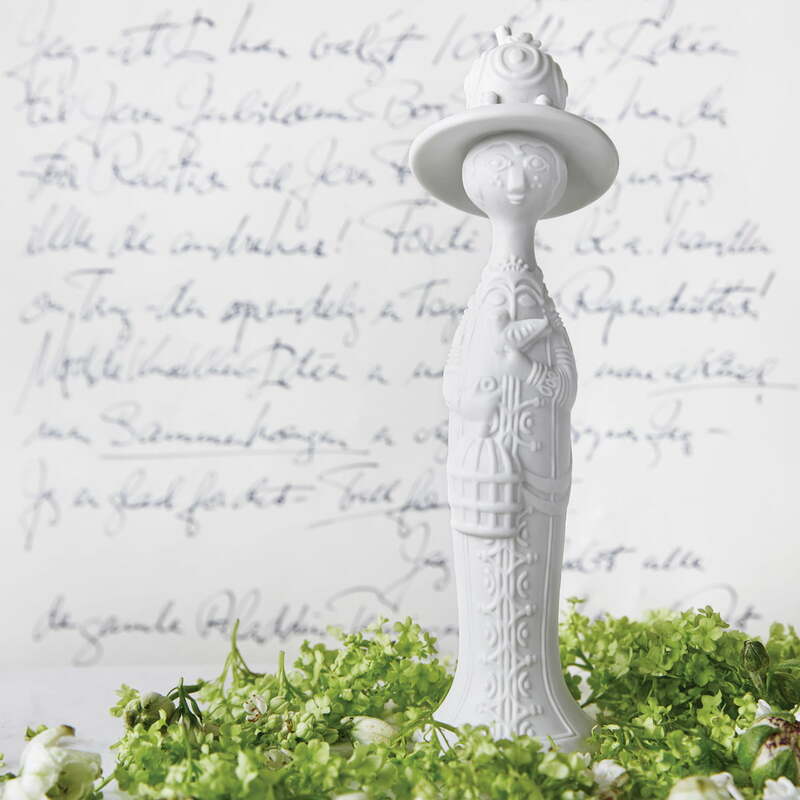 The Four Seasons Porcelain Figurine Summer by Bjørn Wiinblad with a height of 17.5 cm was in the rose garden and filled her basket with the most beautiful flowers. 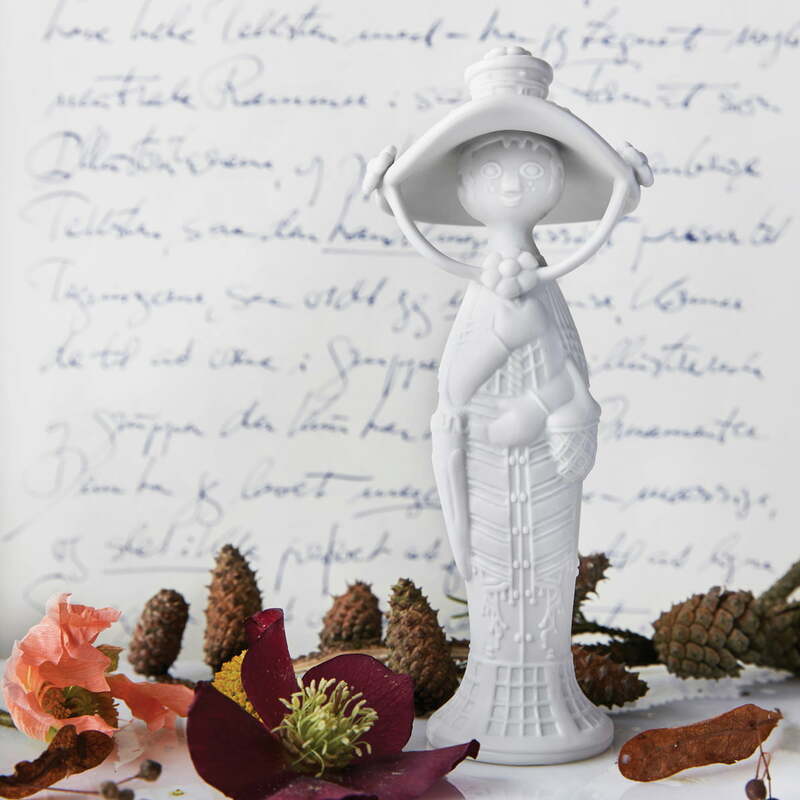 The porcelain figure Autumn with a height of 17.5 cm has a warm scarf over her shoulders and a beautiful hat that protects her from the cool wind when filling her basket with apples.